Consisting almost entirely of smooth, flat pavement, the 29 kilometre Capital City Trail circuit is a fabulous way of seeing Melbourne by cycle or walk. It starts at Southbank following the Yarra .. The City of Yarra contains an abundance of natural treasures waiting to be discovered. Alphington Park Alphington Park consists of a gently sloping river terrace, dropping off steeply to a low .. I like this 19km ride because largely, its either downhill or on the flat using a cheat, which is a train ride from Merri Station up to Regent Station (which is all up hill) and then back down Tyler S .. The existing Darebin Creek Trail runs from Heidelberg Road, Alphington to Bundoora. Darebin Creek runs from the convergance of 2 creeks in Epping to the Ring Road in Bundoora past La Trobe Univer ..
A ride exploring the pubs of Darebin and their part in the cultural and political development of Melbourne's inner North. Some you will know, but many may surprise you! If you have a spare three .. Walking day trip start at the corner of Victoria Parade / Street (N4) on the Carlton Gardens side (you'll work it out) and you have started the tour... Look back at the very relaxing Carlton Garden .. This is a Grade 1 Cycling covering 7.7.km, a short ride which links the Yarra's two famous boathouses and Dights Falls. It is intended as an enjoyable afternoon ride for families with budding moun .. Some of Melbourne's best day trips are found at the end of the line... All good things must come to an end, as the saying goes, and even Melbourne's much-loved trams run out of track eventually. .. The EastLink Trail for cyclists, runners and pedestrians winds its way through the Mullum Mullum valley, heading south to connect with the Dandenong Creek Trail before crossing Greens Road in Melbourn .. Explore St Kilda & Port Melbourne listening to an b>audiotour! Join us on a journey of discovery as you explore St Kilda and Port Melbourne listening to an audiotour that brings history alive throu .. The Grand Ridge Rail Trail winds 13 picturesque kilometres between Mirboo North and Boolarra in the Strzelecki Ranges in Gippsland. As a rail-trail it is unique in being continuously along the site .. The Great Ocean Walk is regarded as one of the world's great walks. The Great Ocean Walk extends from Apollo Bay through the Great Otway National Park to the famous Twelve Apostles. The Great Oc ..
Telegraph Saddle Car Park, Wilsons Promontory, Victoria, 3960 This circuit takes in the best of everything at Victoria's most loved national park. There are two options depending on your time and e ..
Macedon Ranges' most famous landmark Hanging Rock Recreation Reserve South Rock Road, Woodend Hanging Rock is a great day out, a scenic one hour drive from Melbourne through the heart of the Ma .. Discover the natural beauty and cultural diversity of Melbourne's north-east region through the eyes of Australia's first significant art movement, the Heidelberg School. This outstanding 40km tra .. The Lilydale to Warburton Rail Trail is an iconic 40 km recreation trail for walkers, cyclists and horse riders. The trail follows the path of the historical railway line through the stunning Yarra Va .. The Maribyrnong River Trail runs for 28 kilometers from Southbank in the city all the way to Brimbank Park in the North West. The Trail follows the Maribyrnong River for the majority of its length .. The Melbourne Bushwalkers (est. 1941) is one of Australia's largest and longest established bushwalking clubs, with more than 400 members and over 60 years of walking history . 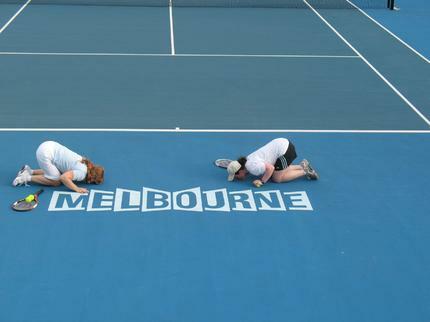 We offer a full prog ..
Melbourne is great for sport.. The reason Australian's love events in Melbourne is accessibility. Stay at any CBD hotel and walk to every sporting stadium, theatre, entertainment, dining and shopping precincts. Here's a couple ..
774 ABC Melbourne invites you to put on your walking shoes, turn on your MP3 player and discover Melbourne's secrets with the ABC Melbourne Podtours: Eat, Drink Melbourne, Death, Dirt & Disease and Sh ..
No-one knows Melbourne like the Melbourne Tour Company. Every single tour has been carefully designed to show you the best of the 'world's most livable city'! Every trip takes in the best of .. The City of Melbourne has created a series of walks that show off Melbourne. These walks and itineraries will help you discover the city, whether you have a whole week to immerse yourself or just a .. The team at RedBull.com have tried and tested 6 of Melbourne's best walks. Victoria's secrets: 6 of Melbourne's best hikes Victoria has more to offer than just flat whites and smashed avocado. .. The Outer Circle was built during the Melbourne land boom of the 1880s. Money was no object, and greedy capitalists saw the Colony of Victoria as a valuable investment opportunity. It was originall .. The Outer Circle Railway Anniversary Trail has been a joint initiative of the City of Boroondara and Parks Victoria. Twelve signs displaying historic photographic images and associated text have be .. The People's Tour website is a series of audio tours of local neighbourhoods and places in Melbourne, Australia. Unlike a typical tour designed for a mass audience, a people's tour caters to a spe .. In the suburbs of Melbourne, Australia, the ghosts of steam trains pull their carriages along rails long-vanished. But not entirely forgotten. Along the route of old suburban train lines lie fasci ..
Melbourne's route 96 tram has been named in National Geographic's "Journeys of a Lifetime" coffee table book as one of the planet's top 10 "trolley car" rides. Journeys of a Lifetime also features ..
Free Self Guided Melbourne Tours by Museums Victoria Discover Melbourne's amazing history through a suite of walking tours that take you on a journey through the city centre, World Heritage precin .. The Sculpture Walk is an intriguing and interpretive detour from the Australian history and heritage of Werribee Park. Launched in March 2004, the Werribee Park Sculpture Walk is a permanent home t .. The Yarra River Precinct Arts Walk is a free self guided walk presented in PDF format by the Yarra River Business Association. A 60-90 minute self-guided walking tour of the Precinct's array of art .. The Yarra River Precinct Walk is a free podcast and walk presented by the Yarra River Business Association. You're invited to put on your walking shoes and discover the river's fascinating history .. The Sports Walk and Guide is a free self guided walk presented in PDF format by the Yarra River Business Association. 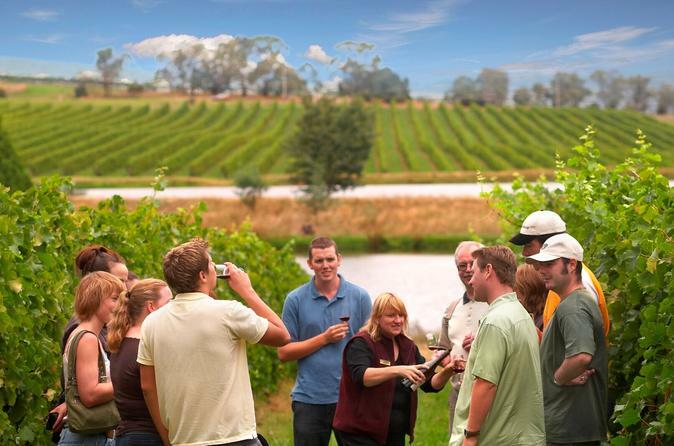 A 90-120 minute self-guided walking tour of the Precinct's many famous sporting ..
Come and join us and take in some of Victoria's best wineries in the stunning region of the Yarra Valley only one hour from Melbourne. WINERIES -:- Yering Station -:- Rochford's Winery -:- Yer ..